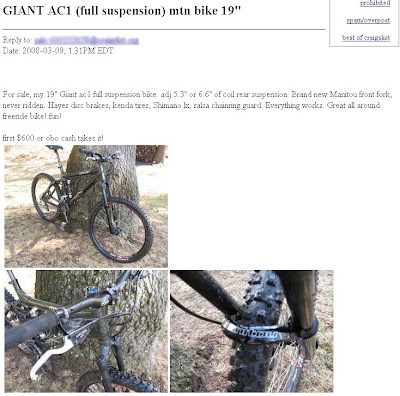 Cyclesnack: The Pig is for sale and other interesting items on the CList! Ok your killing me with temptation. 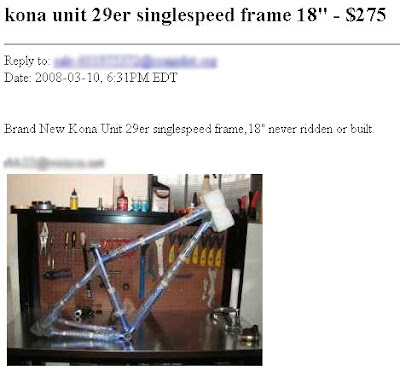 That Kona UNIT in a 29er would be perfect for me. Yeah, that is a sweet looking frame, although I prefer the Green one from last year. Can't beat those drops, either!